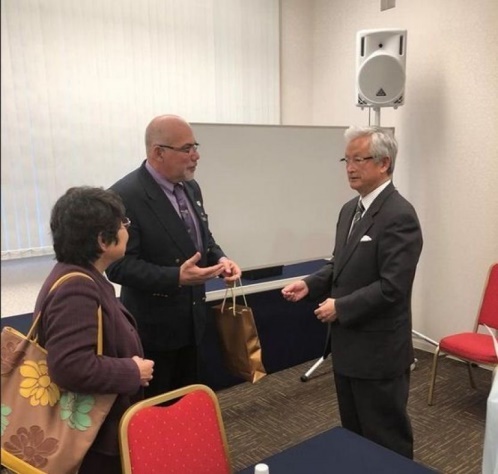 Cuban sport's top leader Antonio Becali (54), visiting Japan as a part of his trip to Asian countries, met Masatake Yamanaka, Vice President for the Baseball Federation of Japan. 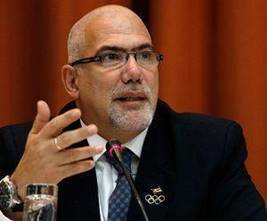 Becali became President of INDER (The National Institute of Sport, Physical Education, and Recreation) in 2014, after serving as coach of Women’s National Judo Team of Cuba and Chancellor of Cuban National Physical Sports University. During the meeting, both leaders exchanged new ways of cooperation, in both the training of athletes and the practice of baseball. They also celebrated the return of baseball to the 2020 Olympics. Becali referred to the positive contribution of the Japanese League in the formation and development of Cuban players and highlighted the willingness of its directors and franchises to expand and consolidate cooperation with Cuba. On April 19, Cuban President Raul Castro will step down after a decade in office, handing the position to a successor 57-year-old Vice President Miguel Diaz-Canel. According to The Mainichi, INDER President Becali gave a press conference at the Cuban Embassy in Tokyo on April 12, and mentioned that the transition of leaders will not affect the country’s close international friendship through sports. He predicted huge success of baseball games at 2020 Tokyo Olympic revealing his wish that Shohei Otani of MLB’s L.A. Angeles pitches till 6th inning and the Cuban slugger Alfred Despaigne of NPB bats at 9th inning when score is tied. In March 2011, the Japanese Olympic Committee complied with the request of INDER and sent current BFJ Vice President Yamanaka, an Olympian and Japanese Hall of Famer, with his 3 coaches to Cuba for 20 days for technical exchanges.